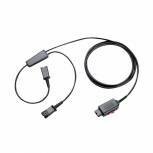 Plantronics Cable U10P 27190-01 Pack of 1 Ensures reliable signal for user. 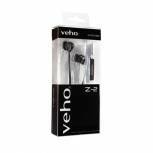 Quick-Disconnect (QD) plug for compatible H-Series headsets. 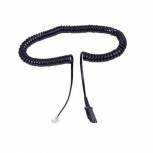 Coiled cord: compact but extendable. Modular plug for Plantronics amplifiers and compatible phones. Enables 4 hours of intensive use. 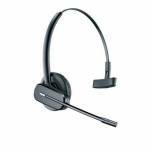 Plantronics HW261N Binaural Noise Cancelling Headset 35176 Pack of 1 Adapted for an IP softphone or an IP hardphone to provide absolute voice clarity. 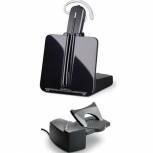 Best for IP telephony users looking for wideband audio clarity. Wideband audio range gives richer communications with natural sound and enhanced audio clarity. 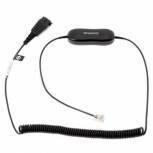 Plantronics Cs510 Headset 84691-02 Pack of 1 Plantronics CS510 Headset. Hands free productivity up to 120m away. Can be used with any base. Volume and mute controls. Noise cancelling microphone filters out background noise. Auto answer. Up to 9 hours talk time. 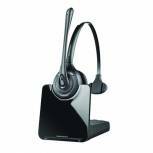 Plantronics Savi W730 Black Wireless Headset 83543-02 Pack of 1 Plantronics Savi W730 Headset. Intelligently manages PC, mobile and desk phone calls. Connects with up to 3 other Savi headsets. 120m roaming range. Wideband audio. Monaural style. 3 wearing styles. 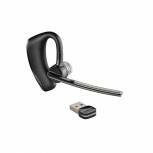 Plantronics Voyager Legend Black 87670-02 Pack of 1 Plantronics Voyager Legend Bluetooth headset. Smart sensor technology answers calls without having to press a button. Responds to voice recognition commands. Can withstand sweat and wet weather. Charges during storage. 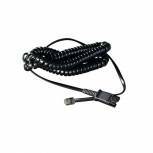 Plantronics Cable Training Cord Black Pack of 1 Plantronics cable training cord. Training Y-Connector connects two headset tops to a single headset adapter for training purposes. 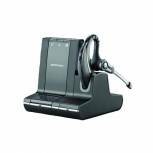 Sennheiser DW DECT Office Wireless Headset 504301 Pack of 1 Monaural (one ear) headset for phones. 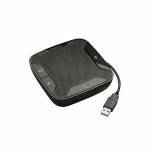 Connects to desk phone and softphone with one-touch switching. Clear and sharp audio. Microphone reduces external noise. DECT connection for reliability. Ear hook and headband wearing style. Mute and volume controls. 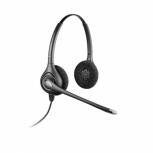 Plantronics Cs540 Headset 84691-02 Pack of 1 Plantronics CS540 Headset. Hands free productivity up to 120m away. Can be used with any base. 3 wearing styles. Magnetic docking. Volume and mute controls. Noise cancelling microphone filters out background noise. Auto answer. Up to 9 hours talk time. 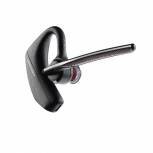 Plantronics Savi W740 Black Wireless Headset 83542-12 Pack of 1 Plantronics Savi W740 Headset. Intelligently manages PC, mobile and desk phone calls. Connects with up to 3 other Savi headsets. 120m roaming range. Wideband audio. Monaural style. 3 wearing styles. 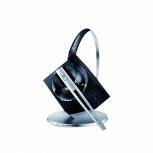 Plantronics CS540 Black Headset and Lifter 84693-12 Pack of 1 Plantronics CS540 Headset 44961. Up to 350ft range. Inline volume control. Noise cancelling microphone. 7 hours talk time from one charge. Lifter allows remote answering/ending of calls. 21gram weight. Black. 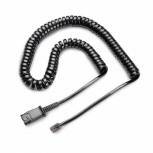 Plantronics U10 Vista Base to QD Cable 26716-01 Pack of 1 Plantronics U10 cable. 3 metre headset amplifier cable used to connect some amplifiers to specific telephones. It has a clear RJ11 plug at one end with a quick disconnect at the other. 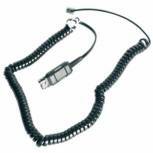 Plantronics Cable A10-11 Black 33305-02 Pack of 1 Plantronics A10-11 cable. 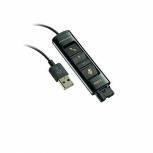 A simple, plug and play adaptor ideal for connecting all Plantronics corded headset styles to compatible telephones. 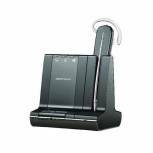 Amplifies all Plantronics H series headsets to Plantronics Polaris level.